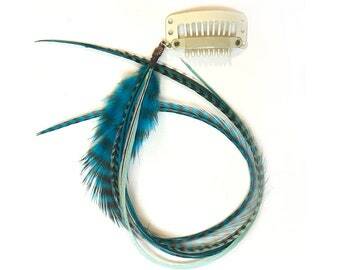 Feather clip extension, with blue, turquoise, pale blue and grizzly feathers. 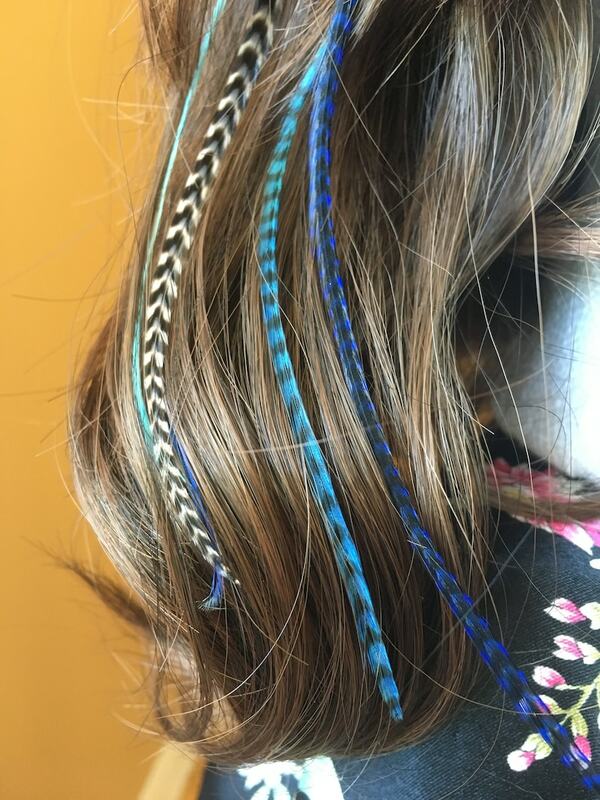 We use only real, premium quality hair feathers sourced from North America. Choice of clip colour available at checkout. *Please allow small differences in colouring, as each feather is unique. If you have any special feather colour requests, convo me. Clip colour: Choice of platinum, blonde or dark brown. Your feathers will be packaged in custom 1967 Accessories packaging and will be protected against the elements. If you have any questions, do not hesitate to message us! INTERNATIONAL: 6-20 business days on average, sometimes more depending on your location and local service. Made very well. I bought it to wear to the new pandora at Disney. It fit the part of the park very well. Feather hair extension kit: 5 natural bonded rooster feathers with 5 hair crimps and hair threader. Naturals and blues. Versatile!